But to save the salmon, we must restore a free-flowing lower Snake River to our region. The whole world was watching when Tahlequah, also known as J-35, recently endured a weeks-long journey of mourning and suffering while pushing her dead calf above water. The mother eventually abandoned her tour of grief after 17 long days and a thousand miles, and resumed swimming, somewhat normally, with her pod. Tahlequah is part of the genetically unique Southern Resident Orca population, which consists of three pods (J, K, L) that travel between Vancouver and the San Juan Islands of Puget Sound. 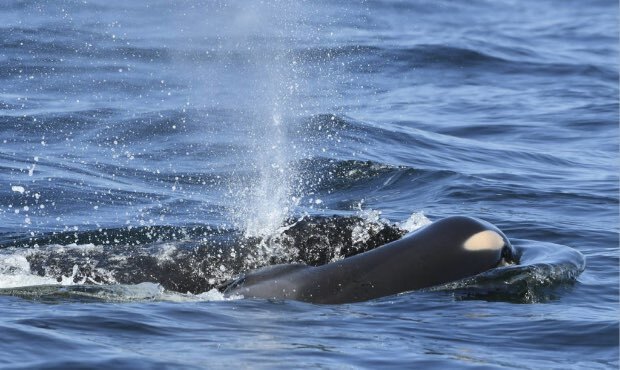 The calf that died was the first birth in the J-pod since 2015. Scientists estimate there are only 75 total orcas left in the Pacific Northwest, the lowest population in 30 years. The species was listed under the Endangered Species Act in 2005. There should be nothing perplexing about this population decline. Orcas are starving to death. A vast amount of the Southern Resident Orca population diet consists of Chinook salmon. But wild steelhead and salmon are equally spiraling toward extinction. The common denominator is the four deadbeat lower Snake River dams in southeast Washington. In order to save the orcas, we must first restore salmon. But to save the salmon, we must restore a free-flowing lower Snake River to our region. Everything is connected and it is no different with dams, salmon and orcas. Join hundreds of residents from around the Pacific Northwest for the 4th Annual Free the Snake Flotilla on Friday and Saturday at Chief Timothy Park in Clarkston. The two-day festival will feature a day on the water, accompanied by music, food, camping, and guest speakers, including world-renowned activist and author Winona LaDuke. Learn more at freethesnake.com. Let's show Tahlequah that she wasn't the only living being steeped in grief while she carried her dead calf across the Salish Sea.